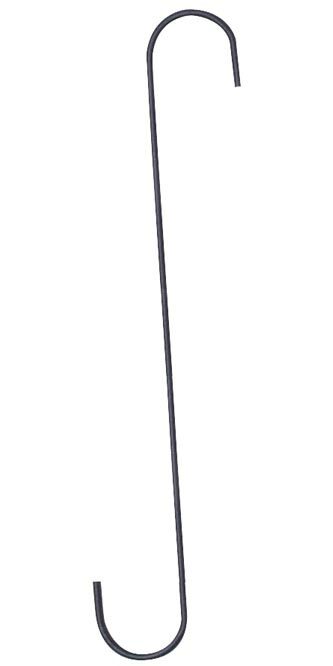 Panacea Garden 'S' Hook, Black, 24"
Use the Panacea Garden 'S' Hook to hang your ornaments in style. One end of this hook hangs on a small branch, trellis, or gutter, while the other holds your bird feeder, hanging basket, or wind chimes. The steel construction creates a sturdy hook, and the black powder coated finish will last for several seasons. Hang your decorations with this Garden 'S' Hook for years to come. Capacity: up to 44 lbs.